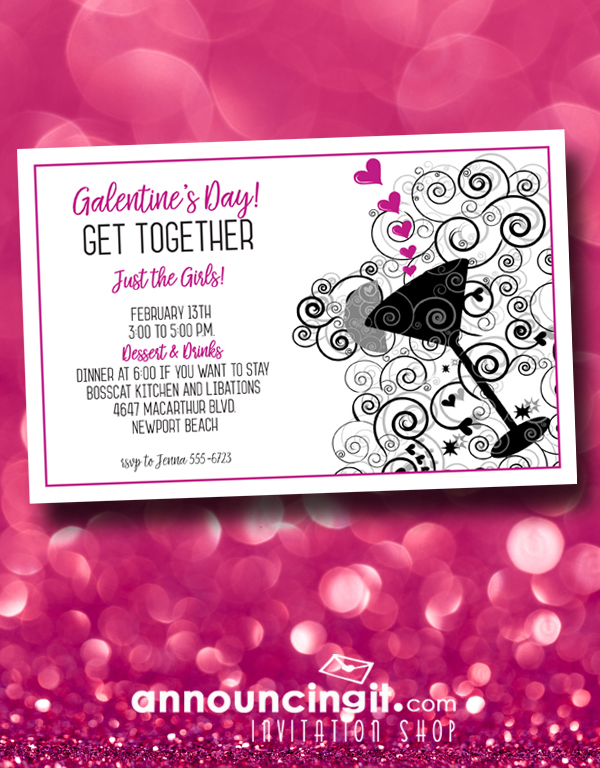 Looking for a tasty cocktail to serve on Valentine’s Day for a party or a romantic dinner for two? 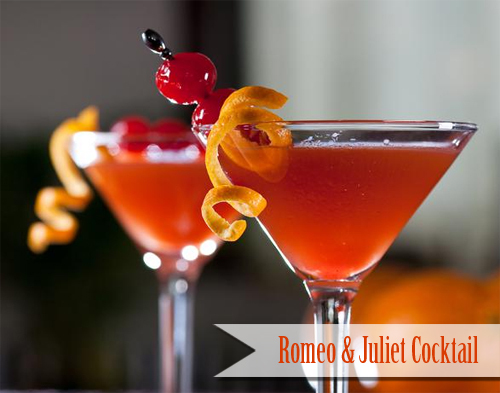 Try the Romeo and Juliet Cocktail. It starts with my favorite, Patron Silver tequila, and the mix of Grand Marnier, Chambord and peach juice is fabulous. Fill a cocktail shaker with ice; add tequila (you can substitute Absolut Apeach), Grand Marnier, cherry liquor and peach juice. Shake vigorously for 10 seconds and pour into a chilled fluted glass or large martini glass. Place orange spiral on the lip of the glass so it drapes down the side. If you’re using a fluted glass, drop a cherry into the drink. For a martini glass, you can skewer three cherries on a swizzle stick and lay it across the lip. Valentine’s Day is the perfect excuse to indulge in sweet treats, chocolate and cheesecake being a couple of my favorites. If you love to bake, these recipes are a fabulous place to start for treats all will love. 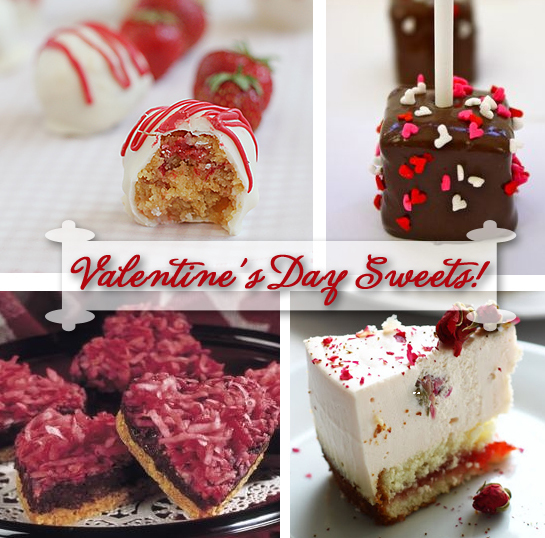 Strawberry Shortcake Cake Bites, Valentine’s Day Brownie Bite Pops, Sweetheart Layer Bars, and Rose Tea Cheesecake. 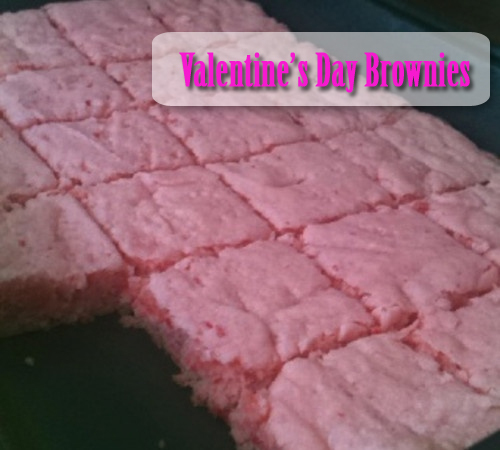 I LOVE brownies and pink brownies for Valentine’s Day are an unexpected twist friends and kids will love. Mix ingredients together and spread in a greased 9″ x 13″ pan. The dough will be thick and will spread thin in the pan. Bake at 350 for 14 minutes and test for doneness by a toothpick inserted in the center coming out clean. For pink brownie glaze, mix 1 cup powdered sugar with 2 tablespoons milk or water. Pour over warm brownies. Enjoy! Please come back and leave us a comment if you made these…we’d love to hear from you!